Mormon-Blog is not an official website of The Church of Jesus Christ of Latter-day Saints. Rather, it is a website independently maintained by members of the Church in an effort to share information with those searching. 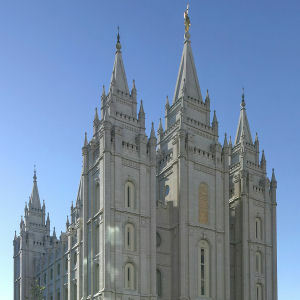 Regarding terminology, The Church of Jesus Christ of Latter-day Saints is commonly referred to by others as the “Mormon Church”. Members of our Church typically referr to themselves as “Latter-day Saints” or “LDS”, and are commonly referred to by others as “Mormons” or “LDS”. Since our intended audience is people who are not familiar with our Church or beliefs and who are searching for terms they are familiar with, on this website we will frequently use the terms “Mormon”, “Mormons”, “LDS”, and “Mormon Church” so individuals searching for those terms will be able to find the information they seek. The Church of Jesus Christ of Latter-day Saints is a worldwide Church, with more than 15 Million members, attending in more than 30 Thousand congregations, in 188 published languages. The Church’s treasured Mormon Tabernacle Choir has graced the world with beautiful music for more than a century. For your listening pleasure, some of the Choir’s favorite selections are found in this section of our blog: Mormon Tabernacle Choir.